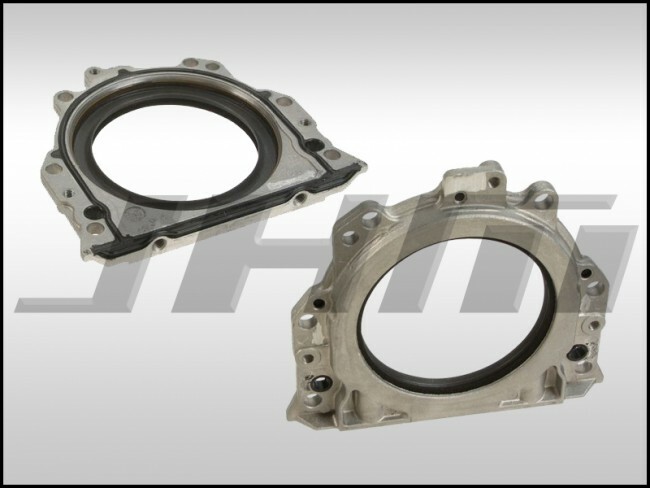 This is a high-quality, replacement Rear Main Seal made by Victor Reinz for your B6-A4 with the 1.8T motor or your B7-A4 with the 2.0T motor. This part is also sometimes called the Rear Crankshaft Seal. In addition to the seal, this part also includes the sealing flange which is required for replacement.